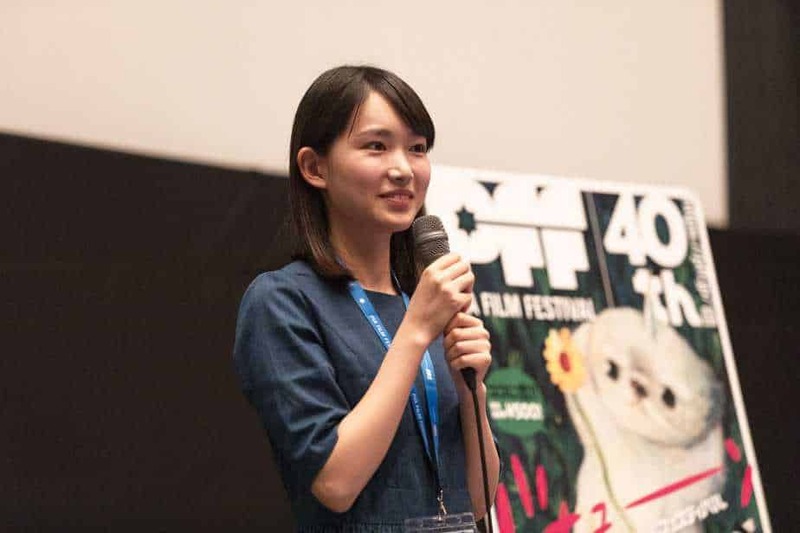 The 40th PIA FILM FESTIVAL lived up to its mascot’s image – a joyful and replete Vamos, designed by Rie Suzuki, which does not simply enjoy cinema but also seems to know all its angles. Launched in 1977, PIA FILM FESTIVAL was originally programmed in order to introduce and nurture young, promising film directors and create a gateway to higher stages of their upcoming careers. 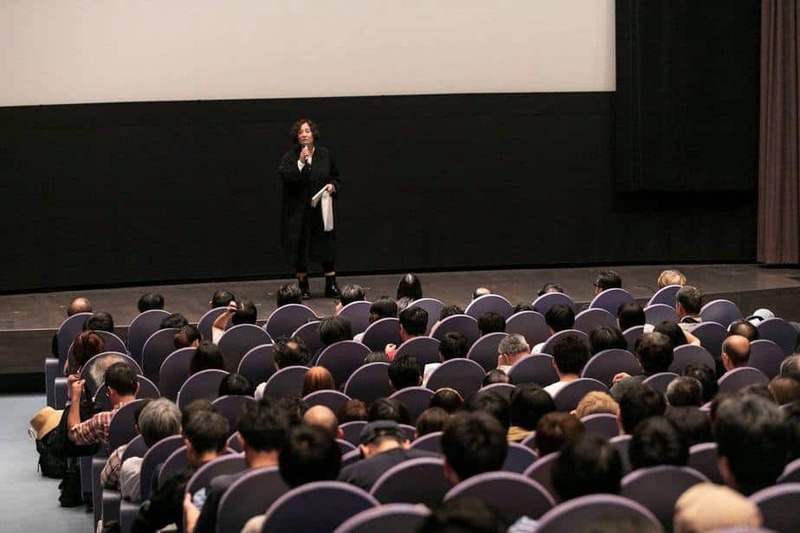 PFF distributes and actively promotes selected titles throughout Japan, which are then being screened at various theaters, on television, as well as sent international festivals or released on DVD/BD, so that they may reach wider audience. 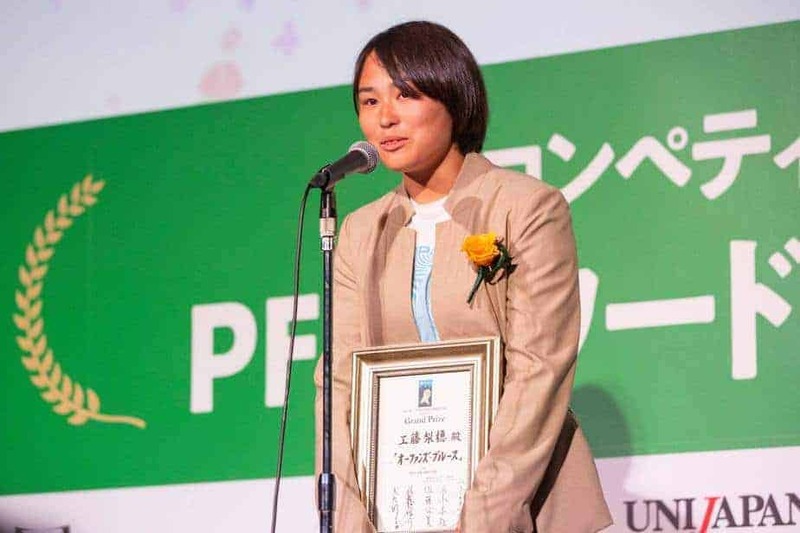 The filmmaker who possesses the best future potential is selected from among current year’s PFF Award winners and receives the honorary PFF Award (Grand Prize), which apart from the financial remuneration provides a chance to make history at Tokyo International Film Festival. The total entries number starting from 1977 up to 2018 is 22,383, among each the 667 were awarded. The aesthetics of the eighteen selected titles in the main competition varied considerably depending on the film director, which only proves the fact that the selection committee had to go through a difficult task of selecting a range of diverse styles and tastes, starting from animation, through the elements of puppet theatre, bitter comedy-drama genre, wuxia stylistics, documentary perspective, deep surrealism and others, so as to satisfy the diversified audience. Never-ending streak of kung fu battles being a tribute to Jackie Chan – that’s “Kung Fu Boy VS Murder Karate Man” (dir. Yu Nakamoto). Science fiction parable about people emerging and dissolving in the water – that’s “Karuche” (dir. Sakura Ueki). Singaporean adventures with local spirits – that’s “Kimiko’s city”(dir. Mayuko Ashizawa). Drama of a boy stranded between separated parents – that’s “What A Wonderful World” (dir. Tatsuya Ishii). Manga-style allegory on fighting for dreams – that’s “A Story of A Japanese Drawing Boy (dir. Masanao Kawajiri). Frothy comedy of unexpected twists and turns about the reunion of two friends – that’s “Good bye, Eric!”(dir, Takumi Takashina). Hong Sang-soo’esque light romantic comedy-drama – that’s “Whisper to me softly” (dir. Akira Yamamoto). Tale of a vain girl that could be a modern depiction of Jun’ichiro Tanizaki’s term naomism – that’s “Empty” (dir. Nao Nomura). Portrait of seclusion from the constant hustle bustle of the metropolis – that’s “Cotton fields” (dir. Mei Fujiawara). Brilliantly animated satire on modern times, using the concept of misemono koya – that’s “Fluffiction” (dir. Yoshiki Imazu). Documental portrait of Chinese children – that’s “Children of Shanhe” (dir. Hu Xuotong). Vision of fetshisized inner desires of a boy that searches for a missing girl – that’s “Shianosu” (dir. Tsuyoshi Matsumoto ) A portrait of a girl that doesn’t want to grow old – that’s ‘19’ (dir Saki Michimoto). Short manual of how not to feel lonely after a break up – that’s “Shashasha” (dir. Fumioki Kamei). Three short stories about bikes near the river is ‘Three Landscapes of Riverbanks’ (dir. Shohei Ikeda). Sara Ogawa on Nobuhiko Obayashi , Kenji Miyazawa and Saint-Exupery’s inspirations. Apart from the main section, PFF each year provides a platform for meeting contemporary film directors discussing on selected masters of cinema. 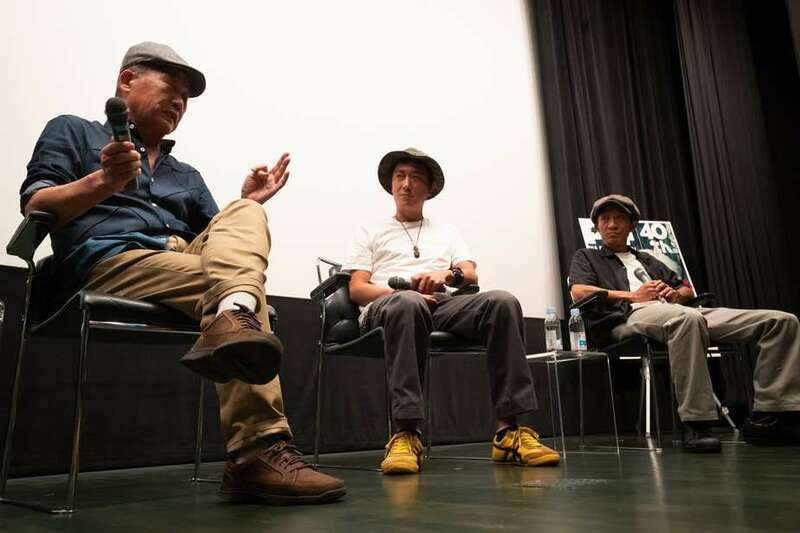 This year’s focus sheds a new light on Masaki Tamura (Mainichi Film Award for best cinematography for the film Farewell to the Land, 1982) – a visionary cinematographer known for the collaborations with such film directors as Kazuo Kuroki, Sōgo Ishii, Gō Takamine, Mitsuo Yanagimachi, Kaizō Hayashi and Shinji Aoyama. In the brilliantly conducted three discussions: 1) Shinji Aoyama & Takenori Sento 2) Mitsuo Yanagimachi & Katsuya Tomita (who just now realized he was one step from collaborating with Tamura when shooting “Saudade”) & Toranosuke Aizawa 3) Nobuhiro Suwa & Yoko Yamanaka the audience filmmakers discussed about Tamura’s role as a cinematographer whose imaginative portrayal played a significant role within the structure of each film. Born in rustic Aomori prefecture, Tamura was prone to shoot rustic, dreary landscapes and wastelands that form human naturalistic nature, depicting alienated Japan in its postwar period. In Mitsuo Yanagimachi’s “Farewell to the land” the death of two boys in a boat accident triggers animal instincts in their father who hits rock bottom by immediately becoming an unfaithful drug addict. No less desolated portrayal of Japan one observes in Shinji Aoyama’s debut “Helpless” or the Cannes acclaimed “Eureka”. 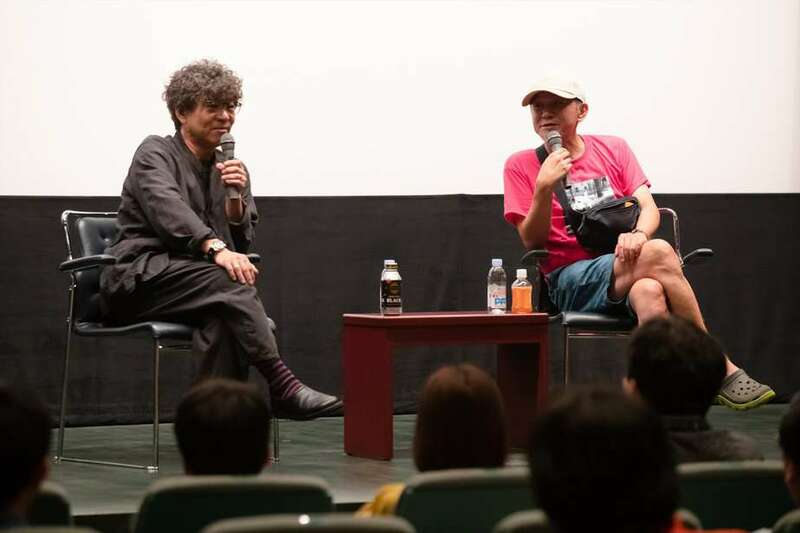 Aoyama, who is considered one of the most important independent Japanese filmmakers of the 90s, draws a parable of a dissipated nation after the economic crisis, Aum Shinrikyo’s sarin attack and the earthquake in Kobe. Japanese 90s “lost generation” is as helpless as the apocalyptical vision engraved in Tamura’s morbid cinematography. Another special section “The knack of the cinema” was dedicated to different film directors: Masahito Kagawa (his daydreaming 8mm “Youth” riddle seemed to be finally solved at least in terms of the very uncanny character’s monologue, which some members of the audience were able to hear properly for the first time), Keisuke Kinoshita (conducted by Keiichi Hara and Ryosuke Hashiguchi) and Takeshi Kitano (talk between Tetsuta Inagaki and Yoko Yamanaka), based on the documentary “Birth of Takeshi – our master and Asakusa”. Lastly, PFF provided a thorough retrospective of Robert Aldrich’s cinema, commemoration of the 100th anniversary of his birthday. PFF remains a festival phenomenon on a world scale; knocking down the walls between novices and veterans, when the latter can sometimes acquire actually much more from their younger colleagues than vice-versa, open-minded to thorough discussion, free of constraint, treating all guests with utmost hospitality is in terms of ambiance as cheerful and blissful as Vamos who stretches itself on the grass in front of his imaginary screen.